RASUWA, September 3: Apple production has declined in Rasuwa this year. Farmers said that hailstorms have affected apple flower, that's why apple production has decreased this year. Moreover late monsoon and diseases have also affected apple production. Though the number of apple farmers has increased this year in comparison with last year, heavy rainfall at the time of apple growth and hail have affected production this year, according to Tharkyap Tamang of Brabal, who has been selling apple in local market for the last three years. Vendor Tamang said: "Last year 900 kilograms of apple were sold in the village but this year only 350 kilograms have been produced." Besides rainfall and hail, farmers have also lost their crop to wild animals and apple thieves, resulting in overall decline of apple production. Preservation of forest areas and national park areas has increased the number of wild animals. 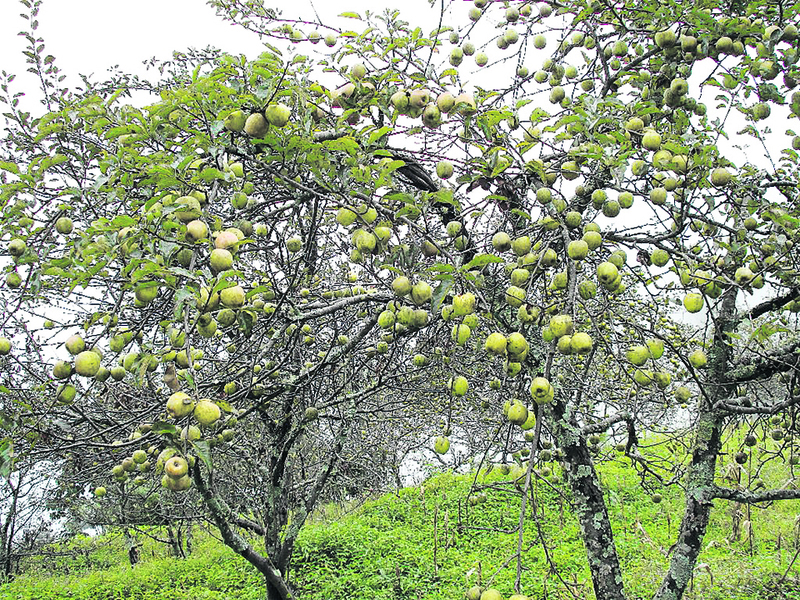 And the apples have been consumed by wild animals like dear, said Milan Tamang a farmer from Goljung. "Planted apples are being damaged by the wild animals. As we are unable to fence the area, apple production has not increased," Tamang said. On the other side thieves have been stealing apples. 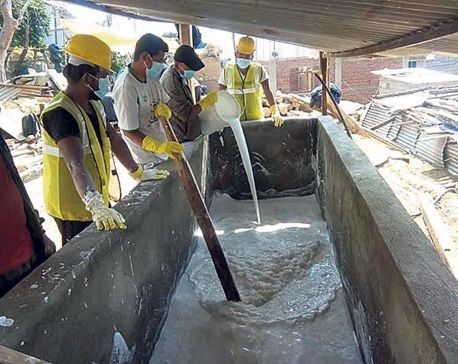 "This year, 2,000 kilograms of apples would have been produced but due to thiefs and deer, only 1,200 kg apples have been sold this year," Tamang told Republica. As the production has dropped, the price of apple went up by Rs 10 in the district. "Last year I bought apple for Rs 60 per kilogram but this year I bought it for Rs 70 per kilogram," Tamang added. Due to less production, market demand is not met. "There are only limited places in the district that produce apples, and almost the entire production reaches the local market only," said a farmer, Phurba Gyal Ghale. However the District Administration Development Office (DADO) said the climate of the district has affected apple production. "A proper growth of apple needs 71 hours of snowfall. But less snowfall and more rainfall has affected the production," said Ramesh Humagain, senior agriculture officer. Mostly, apple farming has been done in the Parvatikunda and Gosaikunda rural municipalities of the district. Apple farming has been done in 123 hectare of land including Brabal, Thulosyaphru, Bridim, Timure, Glojung, Haki, Gatlang, Langtang and Chilime rural municipalities. Last year 639 tons of apples were produced in the district, according to DADO. However DADO has estimated around 450 tons of apples have been produced this year. The production of the district has market inside the district only. Currently, Kasmiri, Golden and Asare brands of apples are being farmed in the district.